Collins Booksellers - 50 Ways to Save While Scrapbooking by Autumn Craig, 9781458072719. Buy this book online. Do you scrapbook? Do you want to scrapbook? If you are an avid scrapbooker or a beginner you’ll surely want to save money while you scrapbook. 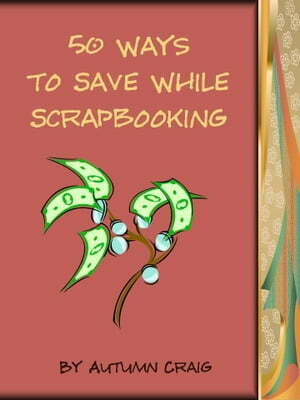 This book shows you 50 ways to easily save money while scrapbooking. You don&apos;t need to buy anything to implement these ideas either. Only implementing one of them will save you more than the cost of this book – so what do you have to loose? Imagine what you can save if you used all 50 ideas! Happy Scrapbooking!